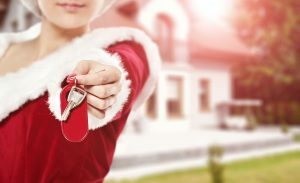 Making a home sale can be a little dicey during the holidays. Whether yours is a vacation/ second home or it’s your primary residence, here are some tips to help you sell your piece of paradise. Be thoughtful about what you display for the holidays. 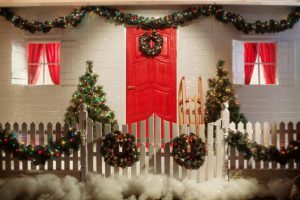 Putting up festive decorations can be a plus because homes often look their best during the holidays. Just don’t overdo it on the décor. Adornments that are too large or too many can crowd your home and distract buyers. Showcase your storage by taking half the stuff out of your closets and then neatly organizing what’s left in there. Buyers will snoop, so be sure to keep all your closets and cabinets clean and tidy. Maximize your home’s curb appeal. This time of the year brings chilly weather and with that, trees lose their leaves and expose more of the exterior of your home. Touch up the paint, clean the gutters and spruce up the yard. You can typically get a 100-percent return on the money you put into your home’s curb appeal. Entryways are also important, so when you’re selling, make the entry welcoming by putting in a small bench, a vase of flowers or a similar decoration out in view. If you are in town for the holidays, minimize your stress by getting your holiday errands done before everyone else enters the panic mode. Don’t procrastinate on your Christmas or Hanukkah shopping. Selling your home is stressful enough, so you don’t want to be stuck fighting traffic and long lines at the mall as well. Keep it clean! Whether this is second home or you are in town all season, keep your home immaculate for showings. You might consider a housekeeper during this hectic season of if you are not in town, clean it up and leave it that way. Help your agent understand when showings may be problematic. Lots of houseguests during the holidays can make for troublesome showings. Don’t schedule those when your friends and family will have to vacate every time a buyer wants to take a look. If you plan on having holiday visitors, let your agent know that the dates that are off-limits for showings. Take advantage of the sunlight. Weekend showings may help you maximize the sunshine which can create better visuals. As the days get shorter, buyers may have less time to squeeze in daytime visits during the workweek. Be prepared to open your home to buyers over the weekend so that they can see your home in the day time. Less may truly be more. Fewer people viewing your home doesn’t necessarily mean fewer offers. You may not get as many visitors during the holidays, but the ones you do get will be serious about buying. If you are in town, make your home feel cozy and inviting during showings by cranking up the heat, playing soft classical music and offering homemade holiday treats. Give house hunters a place to escape from the cold. When you encourage buyers to spend more time in your home, you also give them more time to admire its best features. Maximize the light in your home. After location, good light is the one thing that buyers cite that they want in a home. Open the drapes, clean the windows, change the lampshades, increase the wattage of your light bulbs and cut the bushes outside to let in sunshine. Warm holiday lights can add to that sense of good lighting. If you are not in town for the holidays, you won’t have to worry about pets, but if you are, send your pets to a pet hotel when showings are planned. Not everybody is a dog or cat lover. Buyers don’t want to walk in your home and see a bowl full of dog food, smell the kitty litter box or have tufts of pet hair stuck to their clothes. It will give buyers the impression that your house is not clean. Skip the huge improvement project right before the sale. Focus on quick fixes like cleaning the curtains, painting the walls, replacing door handles and cabinet hardware, making sure closet doors are on track, fixing leaky faucets and cleaning the grout to ensure big benefits. De-personalize your home. Get rid of a third of your stuff by putting it in storage. This includes family photos, memorabilia collections and personal keepsakes. Consider using a home stager to maximize the full potential of your home. Staging simply means arranging your furniture to best showcase the floor plan and maximize the use of space. Many experts say that you are not actually selling your house, you’re selling your kitchen. The fastest, most inexpensive kitchen updates include painting and new cabinet hardware. Consider using a neutral-color paint so you can present buyers with a blank canvas where they can start envisioning their own style. 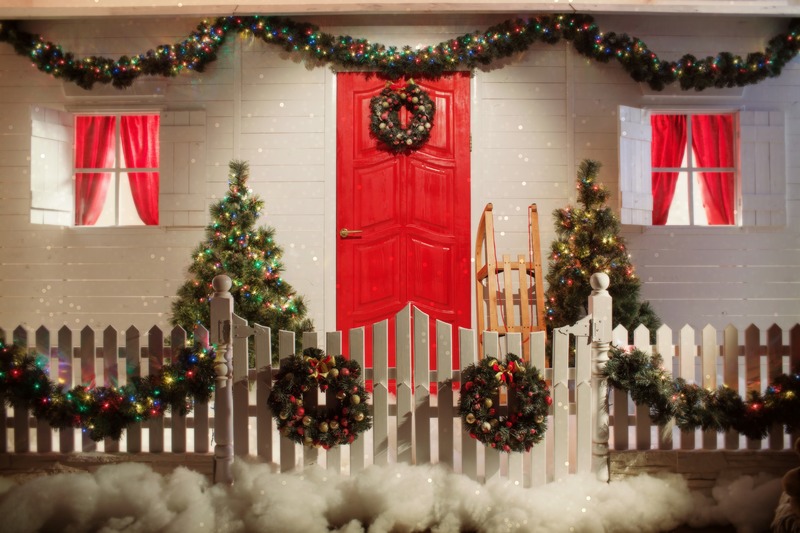 Your house needs to be “show-ready” at all times, even through the holiday events. You (or your agent) must be available whenever buyers want to come in. Don’t leave boxes, wrapping paper, ribbons and bows on the floors or counter tops. Keep the dishes washed, the dishwasher cleaned out, the bathrooms sparkling and make sure there are no dust bunnies in the corners. 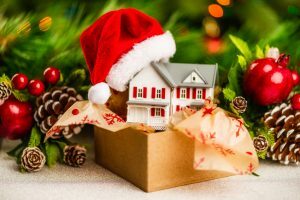 Whether this is a sale involving your permanent residence or your occasional, home away from home, don’t let holiday busyness create selling challenges. 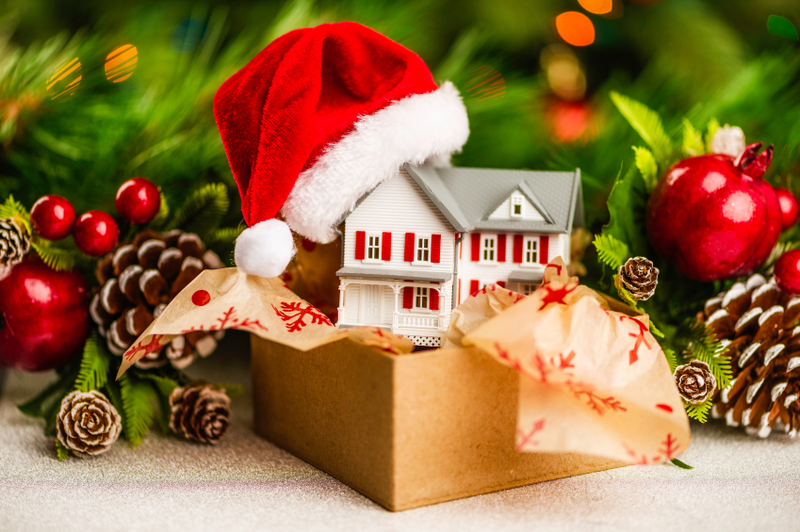 With a little planning, you can make the holiday spirit work in your favor and sell your house.